A major aim of the Web service platform is the integration of existing software and information systems. Data integration is a central aspect in this context. 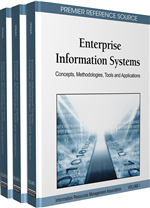 Traditional techniques for information and data transformation are, however, not sufficient to provide flexible and automatable data integration solutions for Web service-enabled information systems. The difficulties arise from a high degree of complexity in data structures in many applications and from the additional problem of heterogeneity of data representation in applications that often cross organisational boundaries. The authors present an integration technique that embeds a declarative data transformation technique based on semantic data models as a mediator service into a Web service-oriented information system architecture. Automation through consistency-oriented semantic data models and flexibility through modular declarative data transformations are the key enablers of the approach.